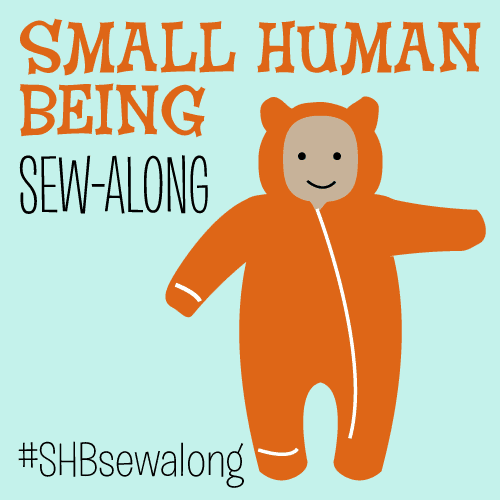 Cation Designs: Announcing the Stashbusting Sewalong! 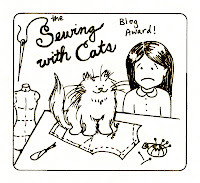 One thing that I notice every year in other sewing bloggers' resolutions (ha! I say "every year" as if I've been doing this for years, but no, this is only the second time I've been participating in the online sewing community) is the desire to get rid of stash fabrics. Somehow, despite our best intentions, we all manage to collect more fabric than we can sew, and that takes up valuable room in both our sewing spaces and our minds! 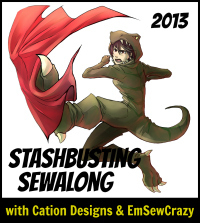 So when Emily aka EmSewCrazy contacted me and suggested that we host a stashbusting sewalong challenge for 2013, I was super excited. I've participated in other sewalongs and challenges before (like Me Made May and the Sew Weekly) and had tons of fun, but I've never started one before, but 2013 is the year of trying new things, so here goes! The 2013 Stashbusting Sewalong is a casual sewalong whose goal is to encourage us to reduce the size of our stashes. If you've got more fabric than you know what to do with, join Emily and me as we systematically purge our stashes by sewing items to fit a series of themes. We've got a whole schedule that you can follow if you need that kind of structure, or you can just join us by pledging to destash in your own way; it doesn't matter if you want to follow our themes, as long as you use up that stash fabric. Either way, we know we're in it together, and we know that others will be cheering us on as we go. If it takes a village to raise a child, well, it takes an online community to bust a stash! Here's how you can join us! Leave a comment here or on Emily's blog with your pledge: "I, _______,commit to using ____ pieces of stash fabric in 2013. Additional option: I also commit to not buying any new fabric/patterns/ notions except for _______ until ______." 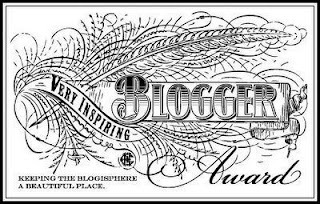 Post on your blog (if you have one) about your commitment! There's nothing like accountability and public shaming to get us to use up fabric that's been lingering in our stashes. Please share the link back to this post so others can join in if they want. Join our Flickr group! Whether you have a blog or not, this is where you can post photos of your stash, your plans, and (hopefully!) your finished projects. We can encourage each other and gush over the reduced piles together at the end of the year. what you would like to make from it this year. Be reasonable and kind to yourself, though -- as tempting as it would be to list everything, the point of this challenge isn't to make us feel guilty at the end of the year about our failed plans. Choose pieces that you could conceivably sew up this year; don't choose everything. If you've got a gorgeous piece in your stash that doesn't match your current lifestyle or sewing skill level, feel free to leave it in the stash to wait a little longer. Its day will come! It's just not this day, and that is okay. So what's this about themes and challenges I hear? Every month we'll have a theme for our stashbusting, e.g. knits, accessories, scraps, etc. We'll take turns posting on our blogs with our stashbusting projects in case you need the inspiration, and we'll also have Pinterest boards going for ideas that go along with the theme. You can follow along with us if the structure helps you, or just do your own thing...the goal here is to use fabric in any way possible! Here's a list of the first six themes, which covers the first half of the year. January: Itty Bits! Sew up those remnants left over from another project, use up some of those tiny scraps that you've been saving...as long as it's less than a yard of fabric, it counts! March: Impending Seasonal Change. Regardless of your hemispherical location, the weather will be changing soon...what will you make? Something fun for the coming spring, or something cozy for fall? June: Containment! Get ready for those long car trips, summer outings or some good old fashioned cleaning and organizing! We're thinking bags, boxes, totes, purses, pouches, you name it; this month is all about making things to put other things in. We will be posting the rest of the themes/challenges later in the year, so as not to overwhelm you right this instant. You'll also notice that some of the months are challenges, and that they don't have descriptions yet, but that's for a good reason -- they're going to be contests! This means that if you sew along with our theme, you can enter your finished project in the contest, we'll choose our favorite and you'll get bragging rights and prizes. And we promise that the prizes aren't just pieces from our stashes that we want to get rid of! 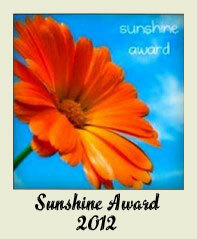 ;) We'll give you more detailed information about the rules and how to enter before the February challenge. Okay, I think I'm in! I made my pledge and joined the Flickr group, now what? Start sewing up those scraps for January! Emily and I have a very helpful Pinterest board going with all sorts of ideas for using up scraps, so you can check it out if you need inspiration. It's up to you if you want to post every month about your project on your blog, but we encourage you to interact with your fellow stashbusters, whether it's through Flickr or blog comments. Besides documenting our own projects, Emily and I will also post round-ups each month of your makes so that you can see all of your fellow stashbusters' projects gathered into one place. The button features a Sewasaurus Rex tackling a piece of stash fabric in a rather, uhh...extreme manner. It was done by one of my former chemistry students; you can check out more of Jen's amazing artwork here, or you can contact her here. Yeah, yeah, that's great, but what about you? Are you just going to laugh at our stashes and not show your own? I've got a whole lot of stash fabric that I need to sew up before we move in June, so I am definitely going for serious stashbusting this year. Bonus points to me if I manage to make things that also work for the Historical Sew Fortnightly! Look for a post tomorrow featuring my own guilt-inducing piles and what I plan to make from them. What about Walnut? Is he stashbusting too? Nope. 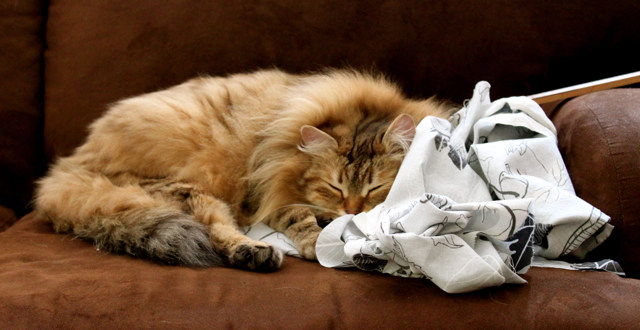 Walnut's all about saving all the stash fabric for sleeping on. You take this fabric away, lady, and you will pay. Do I look like I'm joking? Ahhh, see, that's much better. 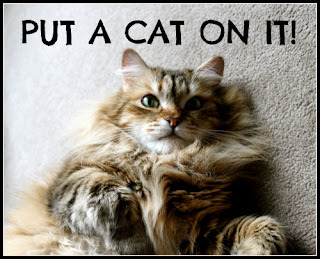 Isn't that just like a cat, to be diametrically opposed to everything you want to accomplish? "I, Gaenor, commit to using at least 6 pieces of stash fabric in 2013, especially the ones I bought to make summer dresses for my small (female) human beings. (Also been meaning to delurk and say thanks for giving me plenty to read this last week since I stumbled across your blog, and for motivating me to actually start making clothes rather than just thinking about it). This sewalong is such a great idea to make those stash pieces of fabric just as exciting (or even more so) than buying new stuff. I, Morgan of Crab&Bee, pledge to use up at least 6 pieces of stashed fabric in 2013. I don't have a huge stash but it's outgrown my even-less-huge closet shelf! And I definitely keep tiny pieces, so you had me at "scraps". Thanks for setting up this fun challenge! I, Jane, commit to using at least eight pieces of stash fabric for dressmaking and as many smaller pieces as I can to make bags, cushions and purses. ...should have added "in 2013" ! I, Melissa, commit to using at least 12 pieces of stash fabric in 2013. This is such a great idea and it looks like it will be fun! My stash is getting a little on the scary side...I've been pretty good about not adding too much to it last year, but I need to get some of it used up. What a great idea, Cindy – I’m in! I, Andrea of Stitch Parade, commit to using at least 15 pieces of stashed fabric in 2013. I, Heather, commit to using at least 12 pieces from my remnant stash in 2013, including at least 1 knit. This is my first sew-a-long, and my first real foray into the sewasaurus community. Your blog has been inspiration and motivation to me. Thanks! Ooh, fun! Somehow stash-busting seems way more fun in a group! I, Sonja of Ginger Makes,commit to using six pieces of stash fabric in 2013. I, Elisha,commit to using an undetermined amount pieces of stash fabric (and other things I've thrifted for sewing purposes, including bandannas and tablecloths) in 2013. I also commit to not buying any new fabric/patterns/ notions except for lining fabric, maybe some fabric for cargoes for my husband, zippers and buttons if I really need them, a couple of .99 cent big four patterns (including my husbands aforementioned cargo shorts pattern), and really hard to pass up thrift store items, until 2014! I'd been planning on stash busting anyway, so this sew along is one I can actually get behind! I, Elizabeth (aka Sully Liz or The Cataloguer), commit to using up at least half of my stash fabric in 2013 (approx 8 fabrics). 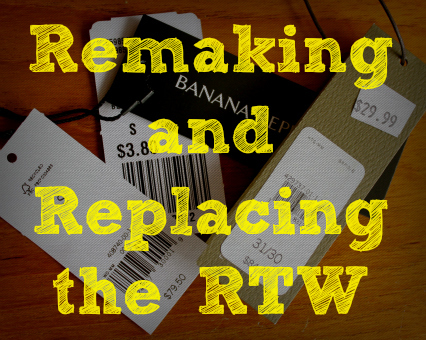 I also commit to not buying any new fabric except to fill out a garment which is using up a stash fabric, until June 2013." I, Sara Mayo (blogless), commit to using at least 12 pieces of stash fabric in 2013. I also commit to only buying new fabric/lining/thread/zippers/etc as necessary to do one project at a time. Patterns I'm still allowed to buy. I, Trisha from Made By Trisha, commit to using 10 pieces of stash fabric in 2013. Stashbusting as a group sounds like a good motivator! Radness. I have just rebuilt my stash so I'm more than happy to jump ofn this train to awesome town. I, Amanda, will rock out to stash busting by using 5 pieces of truly epic stash fabric in 2013. I am so IN!! I'll have to take a good look around the sewing room and decide how many pieces I'll commit to this year. Maybe I should commit by yardage?? Or weight?? That said, I, Katie from Kadiddlehopper, will commit to stashbusting an as yet to be determined amount from my stash in 2013, and also to not purchasing new fabric if equivalent yardage has not already been used. OK, it's official. As in, I posted it, so I am officially committed. I, Katie of Kadiddlehopper, commit to using AT LEAST 24 pieces of stash fabric in 2013. I also commit to not buying more fabric yardage than I have used out of the stash, or as is needed to complete projects (ie. linings, interfacing, etc). Oooh--I like this! I, Jenny of Bobbins and Whimsy, commit to using up 75% of my stashed fabric in 2013. I also commit to buying no new fabric except for linings and such to use up my stashed fabric--and also I really want something emerald green to wear to a wedding in April :) But that's it. Great idea! Since I've added at least ten new fabrics to my stash since we moved and haven't been able to sew a single stitch, I'd say a bit of commitment is in order (once my machines are up and running again, of course). I, Jennifer of The Musings of a Dedicated Housefiancee, do hereby pledge to sew no less than eight fabrics from my current stash, including at least one reserved for my fiance (you know, that guy that buys it all!). This is such a good idea - I love your plan! I don't know if I can commit but this is a great challenge! Shame induced stash busting. I love the idea, and I'm already on it - count me in! At the end of the year I actually fondled and measured every single piece of fabric in my stash (not including muslin and scraps) - 82.6m. It's my goal to get down to 50m by 2013 end. I might even join in a few of your themed months. I, Melanie, commit to using 30m of stash fabric in 2013. Lock Me In. I love this plan and I'm in! I, Barbara, commit to using at least 12 pieces of stash fabric in 2013. I'll try not to buy any new patterns for myself, but I may buy other sizes for other people I sew for. This is a great idea. It ties in nicely with my New Year plans as well. So, I, Giggles in the Sun, commit to using 26 pieces of stash fabric in 2013. I also commit to not buy any new fabric until September except for if I find the perfect 'cape' fabric (and lining) to make for this coming winter. I, Michelle, commit to using as much stash fabric as possible in 2013. I will considerably slow down the pace of additions to my stash. Since I'm having a baby in 3 months, I don't know how aggressive I can be in my de-stashing, but I really have some great fabrics and ideas that need to be made into realities. Hopefully I can make a meaningful dent in the stash even with the new baby! I love the idea and am glad to know I'm not the only stasher! I, SeamstressErin, pledge to use 18 pieces of stash fabric this year. I have to say that it's not going to be that hard since my stash takes an entire bookshelf (and then some). But I'm committed! I'm also doing the Historical Sew Fortnightly so this ties in well. I, Rachelle, commit to using fifteen pieces of stash fabric in 2013. Additional option: I also commit to not buying any new fabric/patterns/ notions except for items needed to complete projects until 2014. I'm also working on the same concept with my yarn stash. I really need to finish the spreadsheet with my fabric stash so I know exactly what I have. I've already used 12 so I think I can update this to using at least 20 pieces of fabric. I, Sophie of Monbouton's Needles, pledge to use at least one piece of stash fabric for every month of 2013. I will be perusing your Pinterest boards for inspiration! This is great! I could never commit to not buying new fabric, but I feel confident to succeed in a challange like this. So count me in! I, Johanna of projects by me,commit to using at least 6 pieces of stash fabric in 2013. I, Cherise from VintageFollies,commit to using at least 2 pieces of stash fabric in 2013! I, Janelle of Sew Hopeful, commit to using at least 12 pieces of stash fabric in 2013. I also commit to no new pattern purchases except anything released by Sewingcake.com and no new fabric purchases except for my couture dress class until I have used up said 12 pieces of stash fabric. Great idea ladies. I'm looking forward to the fun. Both my pattern and my fabric stash is somewhat out of hand. "I, Niamh,commit to using at least 12 pieces of stash fabric in 2013." I'm afraid I can't commit to the second, i'm going to china and I kinda need to buy fabric there. "I, Dottie Doodle, commit to using 12 pieces of stash fabric in 2013." Thank you for this - I'd already made a stash busting resolution, but having structure and a group to sew with will make it much more fun! So now I need to list it all, and rediscover what I actually have! "I, Jessiekay ,commit to using 12 pieces of stash fabric in 2013 and will post about it on my blog www.imake2.blogspot.com. This will force me to sew! I've added your button and will post about it soon. Great idea thanks! I'll join as well. I have a lot of fabric and really should use more of it. I, Lynn of You sew girl!, commit to using at least 12 pieces of stash fabric in 2013. I also commit to using at least 10 patterns from the stash. Stash includes any fabric or patterns on hand prior to the date of this pledge, 15 Jan 2013. I, Amanda of The Adventures of Lady Smijubug, commit to using at least 25 pieces of stash fabric in 2013. I also commit to not buying any new sewing supplies beyond those necessary for stash-busting projects until January of 2014. This Is a fantastic idea. I won't be taking the pledge though, since I've only been sewing for 2 years and my stash is still quite small. 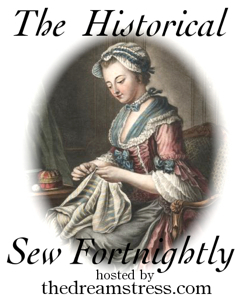 I'm also trying to do the historical sew fortnightly, and there's no way I can do that without buying new fabric. The sewasaurus drawing is awesome! P.S, I'm considerably taller than most mice so I'm not afraid of Walnut. I think cats are adorable. I, Jennifer of FernKnits, commit to using at least 12 pieces of stash fabric in 2013. I also commit to not buying anymore fabric until I have used up these 12 pieces of stash fabric. This is awesome! I want to take the pledge even though my stash is small. I think I really just love the cool button, though! This is my first time on your blog, and I like it! I, Chelsea of Scrapyard Butterfly, commit to making at least one project a month from stashed fabric in 2013. This is my first sew along, and hopefully the kick in the pants I need to get sewing again. Awesome! I, lyndle, commit to making at least 8 garments from stash fabrics and patterns in 2013. I also commit to pruning and organising my pattern collection. I also commit to not buying a fabric unless I already know I require for a particular garment and there is no suitable fabric in stash. (I know this sounds lame but its the best I can make myself do, right now! I also commit to recording honestly all my spending on sewing supplies during 2013. OK, I give in! I Angela Denny commit to making at least 5 items from stash fabrics in 2013. I also commit to self drafting or using patterns that I already own! This sounds like a silly thing to ask, but I'm not sure I can commit to a whole year of stashbusting, I don't think my stash is big enough for that! Can I, and others still participate in the activities from time to time? Of course you can! We are happy to have any and all sewists join us, regardless of stash size. The goal here is to sew with fabric, and not just store it, so feel free to join in whichever challenge or theme you see fit! I love my stash, but there are definitely opportunities for busting lurking in there. I pledge to sew 3/4 of all projects in 2013 from Stash. Fabric acquistion will not outweigh or include more yardage than the stash sewing in 2013. "I,Tiffany McGuire aka the Sewing Amazon,commit to using 10 pieces of stash fabric in 2013. I also commit to not buying any new and non-essential fabric/patterns/ notions until all 10 pieces are used up (unless it's relevant to one of the 10 projects)." Great idea!! This is definitely something that's shared by most of us. I Carolyn, of Handmade by Carolyn, commit to using at least two, hopefully more! pieces of fabric from the stash, each month for this year. I, Towanda, commit to using as many as possible pieces of stash fabric in 2013. I am committing to spend at least 15 minutes in my sewing room 4-5 days a week. I also committing to not buying any new fabric except for fabric that I need to finish a collection or special one time pieces that I can't easily find again. Oooh, that commitment to be in the sewing room for at least 15 minutes is such a good idea! I, Molly,commit to using LOTS (specific numbers are also too constricting!) pieces of stash fabric in 2013. I also commit to not buying any new fabric except for linings and notions until June (I can't guarantee I won't laps around my birthday...). Also, I just really want that blog button... haha! I, Carol,commit to using as many pieces of stash fabric as I possibly can in 2013. I also commit to not buying any new fabric/patterns/ notions except for SWAP until June 30, 2013. I started destashing late last year, so this suits me perfectly. I, Sarah, commit to using stash fabric for at least 50% of my sewing projects in 2013. I was planning to try to make a dent in the monster fabric closet of doom anyway, but now it's set down in righting, so I have to, haha. I likely won't follow along with the monthly challenges, but the sewasaurus button was too cute not to join up! I, Gretchen, commit to using at least 16 pieces of stash fabric for my sewing projects in 2013. I also commit to using 4 pieces of stash fabric for every 1 new piece I may not be able to resist buying. This is my first time posting here, but have been enjoying your blog for a long time. Stash busting (fabric and patterns) is one of my two main goals for the year (the other is fit), so I'm excited to join your sewalong! I, Kat,commit to using as many pieces of stash fabric as possible in 2013. I also commit to not buying any new fabric/patterns/ notions except for things that I don't have and need to finish projects (e.g. interfacing) during 2013. I am SO in! I shall have to have a think about how much I want to use and come back with my pledge. But after a tidy and measure of my stash over the holidays I'm a little shocked by how much I've accumulated! Oh boy am I in! I may need to make an adjustment to the vow though. I, tigergirl,commit to using a lot of pieces of stash fabric in 2013. I also commit to not buying any new fabric/patterns/notions except for those that I need immediately to finish current projects until August. 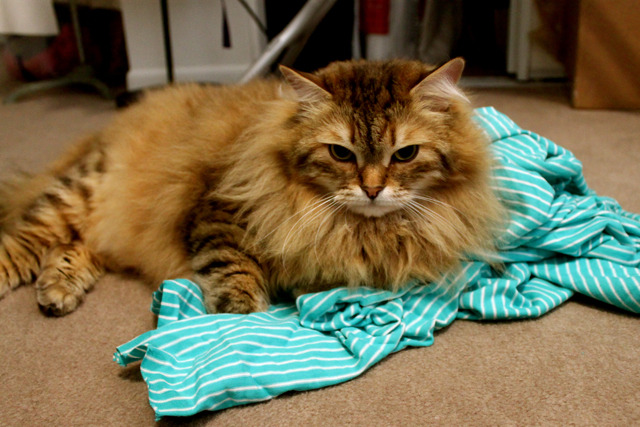 I, Taracat,commit to using at least 12 pieces of stash fabric in 2013. I also commit to not buying any new fabric or patterns until I have used at least six pieces of fabric and four new patterns from my stash. I, Alice of heteronormative lovefest,commit to using 12 pieces of stash fabric in 2013. This is great! I needed some structure to my sewing. And my sewing room is destined to become a kid's room soonish, so de-stashing a bit is getting to be a higher and higher priority. Internet camaraderie for the win! I, Jen, of madeonthecouch,commit to using twelve pieces of stash fabric (and at least five balls of yarn)in 2013! As a person from parents who hoard, I'm terrified one day I'll wake up and discover a mountain of fabric in my house that's destroyed because it has been there for too long! Bah. Since I bought like seven different fabrics when I was on holiday in Borneo recently, I have an uphill battle ahead of me I think haha! Most excellent as sewing up the stash is also my goal for 2013. I Heather of handmadebyheather commit to using at least 12 pieces of fabric from the stash. Bonus points if more pieces are sewn up. I also pledge to actually sew up a few of those precious pieces that have been marinating in the stash too long. I, Arellis, of SewOpenSundays, commit to sewing at least half of my stash on 2013. I also will not buy any new fabric unless I really need it for a specific project I am working on. Oh, and if I buy fabric 2 existing pieces need to be used first (to keep the stash down). First sewalong and I'm very excited, especially since I really need to stop accumulating and start sewing! I, Silvia of Sil's Fab Knitblog, commit to sewing at least 10 projects with stashed fabric in 2013. Bonus points for knitting up some stashed yarn. I will try with all my might not to purchase fabric until I've used up some of the garage stash. I, Christina of Dolcideleria, hesitate to actually make a commitment due to my tendency to sign up for everything! But it's already my intention to do lots of sewing in 2013 from fabric I already have (especially since 2012 seemed to be the year of buying fabric). 2013 is going to be the year I finish things, whether it's items for my Wardrobe Improvement Project or any of the 8 quilts currently in progress. I have plans for several small projects (laptop covers) that will also draw from my stash. I don't know that I'll be able to participate in many of the awesome sounding challenges and contests, but I'll be lurking and watching and cheering you on! Hahaha it seems we have a lot of commitment phobics here! But like I said, putting it out there publicly for some accountability can do wonders. 2012 was also my fabric-buying year, so I am with you on 2013 being the year of actually finishing stuff! And wow, 8 quilts in progress! Feel free to lurk...the challenges aren't a requirement, just a helpful structure for those of us who need it! I, Debi, commit to using 10 pieces of stash fabric in 2013. Yay! I, Holly,commit to using 6 pieces of stash fabric in 2013. Additional option: I also commit to not buying any new fabric/patterns until I'm down to only 4 pieces of unused fabric. I also might begin with the vibrant color because I have some red jersey I want to use to test out combining a pencil skirt pattern and a top pattern into a dress. I'm not sure I have small pieces of fabric. I usually get rid of them. I also vow to finish up the recovering of a chair project that I began two weeks ago. I meant I vow to finish the chair before the end of January. In place of the small pieces project. I, Sharon of Petite and Sewing, commit to sew ¾ of all projects in 2013 from Stash. Fabric purchases will be less than the yardage used during the stash sewing in 2013. I haven't got much of a stash (okay, maybe I'm kidding myself just a bit) but this sounds like fun! "I, Meraj of Threaded Dances, commit to using 8 pieces of stash fabric in 2013." I LOVE THIS BLOG BUTTON!!! also, I love this challenge, so count me in! Thanks for hosting this! Also, thank you former chemistry student Jen for being an awesome artist! For better or for worse I, Kat of All the whimsical things, commit to using as many pieces as possible of stash fabric in 2013. I commit to not buying any new fabric or patterns (with exceptions) until June 2013. I, Alison of Acorn Cottage, commit to using only pieces of stash fabric for my garment sewing in 2013. I will only purchase whatever notions, thread, interfacing and suchlike are needed to complete said garments. I also commit to finally getting the stash organised, and out of the bins boxes and bags that are scattered all over the house! My pledge is to use at least 3 metres of fabric from my stash for every metre I buy throughout 2013. I Hanny Bobbins commit to using ten items from my stash in 2013! I, Laura (of a currently post-less blog), commit to using at minimum six pieces of stash fabric in 2013. And hopefully I will! I don't think that I finished more than four projects in 2012! (And some of those were... possibly alterations, depending on how that is defined). I, Meris (aka the Fabric Alchemist), commit to using at least one piece of stash fabric in every sewing project in 2013. I also commit to not buying new fabric in 2013 for stand alone projects. New fabrics must be used alongside stash fabric to complete the larger project (e.g. a costume). I Shawn (creativeinspiraciones), commit to using a lot of pieces of stash fabric in 2013. I will make my best attempt to use stash fabric before purchasing any additional fabric. I do not have many pieces larger than fat quarters, so if the project requires a bigger chunk I can add to it by way of purchase. However, I am not aloud to start any new projects that require all new fabic. If I do not have any of the material for the project in my stash, I can not add it to the to do list. I also commit to not buying any new fabric/patterns/notions except for must haves to complete a project until all of my current projects are completed. I Alethia commit to using more of my stash fabric in 2013. I will try my best not buy any new fabric unless I really need it for a specific project I am working on. If I buy fabrics for every yard of fabric I buy 2 yards from my stash will be used or give away (to keep the stash down). I'll even use at least one piece for un-selfish sewing, ie for someone else! I, The Urban Pheasant, pledge to stash bust at least 1 well aged stash piece each month this year. I will start by making yo-yo's with tiny cotton bits while watching hockey games (they're BAAAACK!) this year. I need at least 1339 yo-yos for a quilt, so let the stash busting begin! I'm late to the party but... I'm in! I, Nic of The Reckless Needle, pledge to make 12 projects using stash fabric in 2013. I haven't been sewing long enough (and don't have enough of a monster stash) to commit to not buying any more fabric but I'm moving in two months and there won't be as much space in the new house for fabric! Thanks for the great idea! me, Riet, (blog memadeland@wordpress.com)pledge to use stash for 12 projects in 2013. Although it's gonna be dificult finding time after my baby will be born in april. It will be my very first sewalong, I'm looking forward to it! Can I join in?! Just found your fantastic blog and am now following. Can't wait to join in the stash busting! "I, Alison of Heavenly Handmades, commit to using at least 50% of my very considerable abount of stash fabric in 2013. I also commit to not buying any new fabric/patterns/ notions except for interfacing until at least 25% has been used up." I, Diana, (@ writeforward.wordpress.com)commit to using at least 12 pieces of my fabric stash in 2013 (with hopes to completely deplete it, and I will not buy any fabric unless it is absolutely necessary. 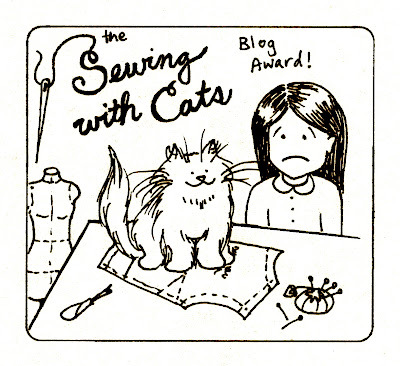 I've been meaning to get off my blogging backside and get my sewing blog going. Killing off some of my stash in the process can only be a Good Thing. Considering I got fabric for every single gifting holiday last year, if I don't do something soon, the storage bins are going to explode. I, V of SometimesSheSews.blogspot.com,commit to using a very unambitious 12 pieces of stash fabric in 2013. Additional option: I also commit to not buying any new fabric not counting interfacing, fabrics already purchased this year or accent fabric needed to complete a project. Patterns, notions and sewing tools are not counted or considered stash items, and will be bought as the need/sale arises. I, Megan, commit to using 6 pieces of stash fabric in 2013. I love this idea, but have way too much going on (and one super all-consuming sewing project) to start this off now--would I be able to jump in mid-year? You can jump in at any time you want! It's very open-ended so as to accommodate all levels of sewist and stash! Ok, I'm in then! Although it'll be awhile before I can fully participate with the monthly challenges. "I, Becky, commit to using 6 pieces of stash fabric in 2013. I also commit to not buying any new fabric, other than interfacing/notions, things for the wedding, or absolutely necessary home dec fabric. In addition, I commit to evaluating my current stash and getting rid of the things that I honestly can't find a use for." Superb idea. I am at a "transitional" phase at the moment, as we are moving continents! When packing up my fabric stash 3 weeks ago, I thought to myself, I have TOO MUCH! I have given away quite a bit and have shipped some select pieces that I INTEND to work on. It is my personal pledge to NOT BUY any fabric in 2013, so this Stashbusting challenge is going to be GREAT. + Also, I have to buy myself a sewing machine and overlocker for the knits challenge. I, Chloe of Buttonandneedle, commit to making one stash busting project each month in 2013! And to think very carefully before buying new patterns - my biggest temptation! Can't wait to see those bins start to empty - thanks for the challenge! I, Leah, commit to using 15 pieces of stash fabric in 2013. Additional option: I also commit to not buying any new fabric/patterns/ notions except for needles and thread and zippers until July (my birthday month!). Holy hell do I need this. I will do this. I WILL. I CAN DO IT. Thank you for this, Cindy and Emily, it's so on! I, Alessa of http://farben-freude.blogspot.com, commit to using as many pieces of stash fabric as I manage in 2013, making at least three in four makes from fabrics already in my stash. I also commit to only buy one new length of fabric for every three finished stash-busting projects until my birthday in July. I sooo need to do this. But since I like to pick up fabric during my travels I can't commit to not ever buying new fabric this year. So hopefully I can participate only in the stash-busting part of the challenge. SO here it is: I, Javie,commit to using at least 12 pieces of stash fabric in 2013. I know I could exceed this but want to make this at least doable for me. Oh man I should join this challenge. I really should but I know my limits lol. I am sewing more out of stash than before so at least I'm there partly in spirit hey? Whoa, I am so late for this, but I really, really need it! Wonderful idea! I, aleah of notimetosew.wordpress.com, commit to sewing from the stash by default this whole year. I furthermore commit to not buying any fabric I haven't touched in person first (I'm saying no to online fabric buying), or that I don't have a concrete plan for. I, Bailey of knitsnbobs.blogspot.com ,commit to using at LEAST 10 pieces of stash fabric in 2013. Yep, I'm in on this one, I'm just getting back into my sewing room and I need to sew from the huge stash I have. I'll commit to not purchase new fabric in 2013 except what is necessary to finish a project I'm working on. This is just what I need to get my juices flowing!! I, Kelley, of simplesewist.blogspot.com.au, commit to using 12 pieces of stash fabric in 2013. Oh this is just what I was looking for! I Penny, of Hands Sew Full (handssewfull.blogspot.ca) commit to using up as much of my "hoarders look innocent compared to me" stash as possible in 2013. I also commit to restricting my fabric and notion etc purchases to solely what is needed to finish a stash project and possibly a few particularly incredible "extras" that may never come my way again. I just found your challenge; I'm in! "I, Sharon, commit to reducing my stash fabric by 30 yards in 2013. I also commit to not buying any new fabrics or notions --except those explicitly needed to finish a current project -- until the end of the year." I, Jude (aka Verdant), commit to using up at least two crates worth of fabric (about 20 pieces) and all the loose bits on the floor. I also commit to finish each project and not leaving any languishing a year waiting for sleeves or buttonholes. "I, Claire of the blog sew-incidentally.com, commit to using 9 pieces of stash fabric in 2013." These stash pieces will be used in sewing match-up alongside my commitment to making 7 garments and 2 accessories for Karen's of "Did You Make That?" 2013 Sewlutions - In the Jar... this year I mean to "put my money where my mouth is!" I, Rachel,commit to using 12 pieces of stash fabric in 2013. For this year, I will only buy necessary fabric for any historical costuming, but it will be used right away and only bought on an as needed basis after the project has been completely planned out and I check my stash first to make sure that I don't already have something that would work. I think that's reasonable enough and I can keep to it. I'm not including notions in that, just fabric. Notions are a little trickier. I, Becca, commit to using at least 10 pieces of stash fabric in 2013, plus clean out at least 8 remnant pieces. I also want to use at least 7 of my current pattern stash. I'm not going to say that I won't buy more fabric, because I'm not overloaded stash wise, but I do want to rotate out some of my older pieces to make room for new pretties and also expand my sad wardrobe. I, Anneloes, (aka Oes), commit to using up at least 10 pieces of stash. I also commit to finish each project and not buying any new fabric till june, except for lining, batting and sutch. A bit late to the party here but I really wanted to think about what I wanted to do. I didn't want to set myself up for using a particular number of pieces of stash as I'm not al that productive and that seemed like a way to fail! And I've set myself a goal involving numbers already. But I DO want to use up stash pieces. So, after ponderification and mullingness, I, Joy of Charm of Magpies, commit to starting ALL of my crafting projects in 2013 (sewing, knitting, jewellery making, etc) from materials I own RIGHT NOW and turning to stash before external sources for all notions where possible. The one exception is my annual ball dress and any other event-specific garments that may have requirements my stash can't fulfill. I also commit to trying-really-hard to not buying new stash! I, Shannon, commit to using 4 pieces of stash fabric in 2013. I'm really just getting back into sewing and my stash is small-just one box. But I do want to use it all up. And I love the challenge ideas. "I, Shannon, commit to using 4 pieces of stash fabric in 2013." I love the challenge ideas. I can't want to get started. I don't have much of a stash but its slowly adding up, so. I,Annei,commit to using at lest 6 pieces of stash fabric in 2013. I will strive to use the fabric I have bought for certain patterns and make the item or use it for something that I will ware. I will try to only buy fabric for clothing I will make not just because I like the fabric. I, Vanessa, commit to using at least 6 pieces of stash fabric in 2013. I also commit to finishing garments that have gotten stuck halfway through. I'm a bit late jumping on board, but I think this is a great way to keep me sewing all year long. I've only got 1 tub of fabric, but it has reached critical mass and my apartment can't afford to have it overflow. I, Lise, commit to using at least 20 pieces of fabric from my enourmous stash by the end of 2013. I will not buy any new fabric this year, except what is needned to finish a project. I also commit to finish each project completely before starting a new one. I, Holly,commit to using 12 pieces of stash fabric in 2013. Additional: I also commit to using at least two thirds of all new fabrics that I buy myself this year. I know I'm late to join, but I have been thinking about it, trying to come up with a goal that is challenging yet achievable. I, Pickled Weasel commit to using 10 pieces of stash fabric in 2013. Is it too late to join? I just heard about this from Four Square Walls. My pledge is to use up ten pieces of stash fabric for the rest of the year. I also pledge that the number of fabric pieces I buy must be less than or equal to the number of fabric pieces I use up every month. I, Amanda, pledge to sew the next six garments I make from my stash (excepting notions, muslin, and interfacing!). I, Helen, commit to using 19 pieces of my stash this year. 2 per month, 1 for March, since it's part gone. I am aiming to use this as an opportunity for adventure, to try some ideas, if only to use up fabric. Getting my "acres" in, ala Kenneth King: If I were to say one thing and only one thing, it’s this: perfectionism is a disease, and a form of fear! I earnestly commit to making ten things in 2013 from yardage I already have. Easy Peasy. I will avoid fabric purchases, unless it is lining fabric..I don't have any of that. I also don't think yard sale fabrics and gifts of yardage count. There is never that much of it and I refuse to return gifts that I really want! I ,in addition, will commit to mixing and matching lining colors in order to use it all up. Should be interesting. "I, Nancy,commit to using 9 pieces of stash fabric in 2013. Additional option: I also commit to not buying any new fabric/patterns/notions except for back yard finds, church bazaar goodies, vintage patterns and lining fabrics until Jan 2014! Oh, and if somebody gives me fabric, I am keeping it! 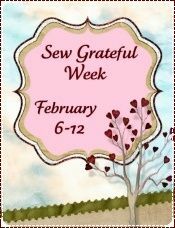 "I, Ebi of Mostly Raaw Edges, commit to sewing only from stash fabric in April 2013, by creating projects for what I have. I commit to using at least six pieces of stash fabric this month, and buying fewer pieces of fabric than I use from my stash." Ooh, hopefully this will keep me motivated and honest! "I, Lyn of Poofytail, commit to using 25 pieces of stash fabric in 2013. I also commit to not buying any new fabric except for supplies needed to finish a project or fabric to make things for other people until the end of the year, with the exception that I can buy one new piece of fabric for my birthday." 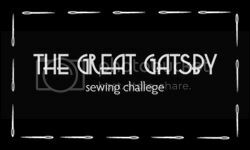 I just found your blog from your flickr post in our Great Gatsby Sewing Challenge. I am a bit late to the party but can certainly use a push to get my stash under control! To that end... "I, Jeri of My Modern Vintage,commit to cutting my stash in half in 2013. I also commit to only buying items such as notions and lining needed to complete my stash busting garments until my stash is under 20 pieces of fabric." Very late getting started, but I really want to take part in this sewalong. I pledge to use 10 pieces from my stash in 2013. Ooh I'm soo excited, as I've just started blogging, now I can join the stashbusting and post about it aswell! I, Kim, hereby pledge to use at least 15 pieces from my stash in the remaining months of 2013. I, Kristin of SunnySewing,commit to using 30 pieces of stash fabric in 2013. I also commit to not buying any new fabric except for one big trip to Mill End Textiles in August or if I absolutely need it for a very specific project in which nothing else in the stash will suffice. This is really late, and I don't count it as actually joining the sew along because I haven't put it on my blog and I'm not on Flickr, but what the heck. I haven't bought fabric for months so I might as well make a pledge out of it. I Mira of Mouse Borg Designs swear that I will sew exclusively with stash fabric* for as long as I remain an unemployed teenager, owing to the fact that I only have $62.06 to my name and it must be saved for notions. I also pledge to sew as many things as I can with what I have, which is actually a lot more than what I thought, especially since it has recently absorbed someone else's stash. I can't really give a specific number of pieces. Receiving fabric as a gift does not count as buying new fabric. Not much of a pledge, but fully committing to this awesome sew along would be too difficult since it and the HSF both have different themes. Mostly I just need more incentive for the "sew as many things as I can" part. I get lazy in this icky summer heat. *The curtains on my window and the wool blankets on my bed both count as stash fabric. Articles from my mother's stash count too as long as I ask for permission.